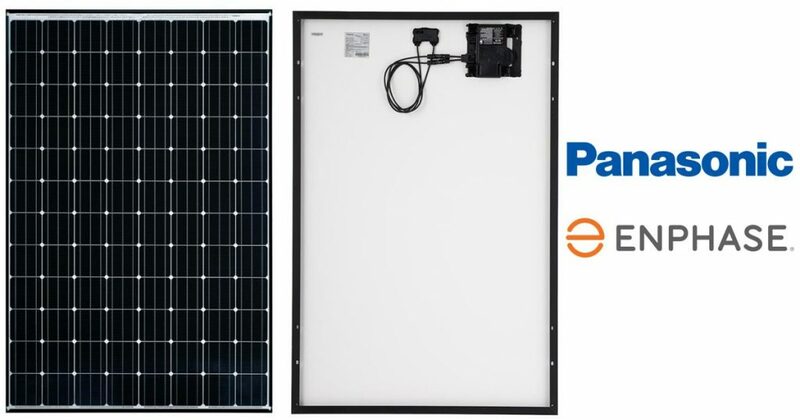 Panasonic’s N330E HIT AC Series solar panel featuring the Enphase IQ 7X microinverter will be available to solar installers in late March – in the USA anyway. The collaboration with Enphase was originally announced in February last year, with Panasonic Eco Solutions of North America unveiling the AC Module (ACM) at Solar Power International 2018 in September 2018. Manufactured in the USA, the 330-watt N330E HIT features a seventh-generation Enphase IQ 7X microinverter mounted on the back. 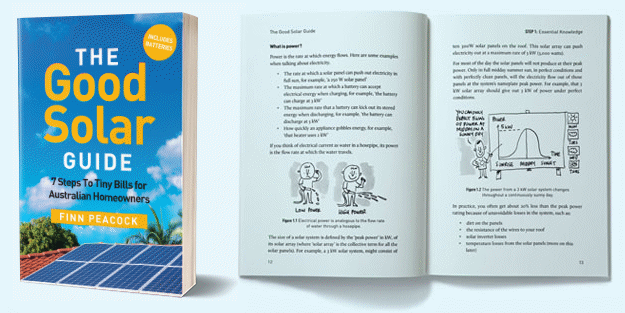 The use of microinverters avoids the need for a string inverter and offers benefits such as increased system design flexibility, redundancy and panel level monitoring. Full specifications can be viewed here. “This significant collaboration with Panasonic on a world-class AC Module once again validates our commitment to continuously improving the value of our energy management solutions for homeowners worldwide,” said Enphase Energy Chief Commercial Officer Dave Ranhoff. The announcement didn’t include any details regarding availability in Australia. Panasonic is one of a number of manufacturers Enphase Energy has teamed up with for the production of AC solar panels. Others include Longi Solar, SunPower, Solaria Corporation, JinkoSolar (Eagle AC) and LG (NeON 2 ACe). In the case of SunPower, it recently announced availability of its A-Series AC solar panels in the USA, which are based the company’s Maxeon Gen 5 cells and offered in 400W or 415W capacity. Again, no word on when the A-Series will be available in Australia as yet – or even if it will be. Enphase states it introduced the world’s first microinverter system in 2008 and had shipped 1 million microinverters by September 2011. It hit the 10 million milestone in November 2015 and has shipped more than 19 million microinverters to date. The company says 820,000+ Enphase-based systems have been deployed in more than 120 countries. According to a recent letter to shareholders from President and CEO Badri Kothandaraman, Enphase’s revenue for 2018 was $316.2 million, a 10% increase from 2017. The company ended Q4’18 with $106.2 million in cash. “The last two years of extraordinary work by our employees, with strong support from our customers, partners and shareholders has enabled us to build a solid financial foundation,” said Mr. Kothandaraman.